Wonderful shot of the wonderful moon … it looks like a lovely cradle. This is a superb captivating image ! Great capture. A morning moon is magical! And so is your photo. Gorgeous moon and a terrific capture, Carver! A lovely cradle indeed!! that is so beautiful carver. i saw the moon last night, crescently beautiful, but i was driving in the freeway and i didn't bring my camera. 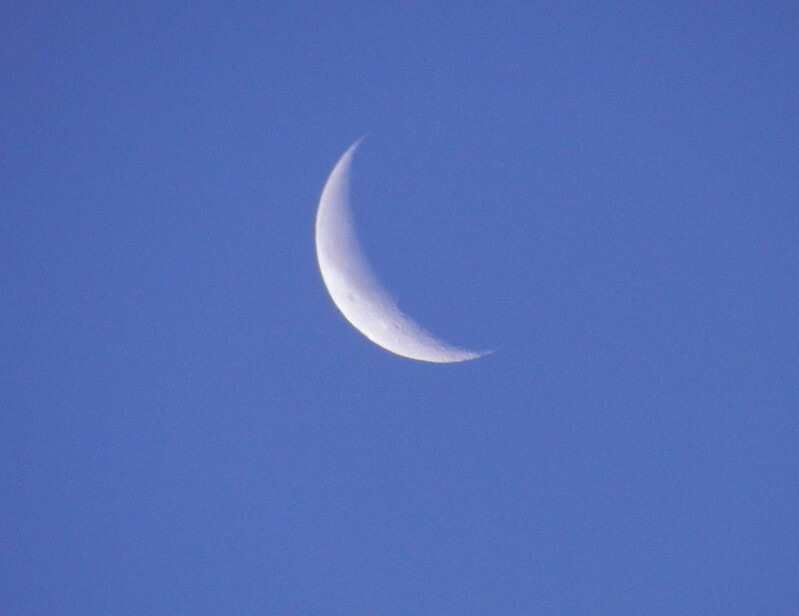 Lovely capture of the crescent. Beautiful moon capture, Carver! Have a happy weekend! Stunning sliver of a blue moon!